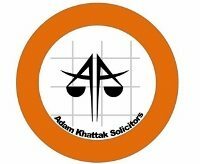 Adam Khattak Solicitors specialise in immigration and European Law. The people at the firm have many years of expeerience and knowledge in this area of law. We understand that our clients need to feel confident that they receive the best customer service to face the complex legal challenges ahead of them. We are members of the Law Society. The Law Society exists to represent, promote and support all solicitors, so they in turn can help their clients. Acting when risks are identified. The Bar Standards Board regulate barristers, their professional practice and specialised legal services in England and Wales, in the public interest. Confidence: we are proud members of Immigration Law Practitioners Association.